It is revered as the highest achievement in watchmaking: the tourbillon. Only a few masters of the craft can lay claim to the delicacy and absolute accuracy that must come into play to build a tourbillon. In this extremely refined system, the balance mechanism is housed in a carriage that rotates around its own axis once every minute and compensates for any inaccuracies of rate caused by the earth’s gravity. A particularly striking feature of the Manero Tourbillon is the view through the tourbillon, which reveals the complex mechanism in all its splendor. This magnificent timepiece is completed with a harmoniously-styled dial in keeping with the strong personality and elegance of the Manero Tourbillon. The Manero Tourbillon – a true masterpiece. The watch's balance is mounted in a rotating cage: the tourbillon. Gravity has its pitfalls, especially for watches, because it can lead to inaccuracies in the display. In an attempt to counteract these inaccuracies, the first tourbillon – a French word that translates as ‘whirlwind’ – was developed in the 18th century. Its function is to offset the gravitational errors in the accuracy of a mechanical watch. It is of equal relevance to both wristwatches and pocket watches because the forces generated by the movement of the wearer’s arm can likewise adversely affect the precision of a timepiece. 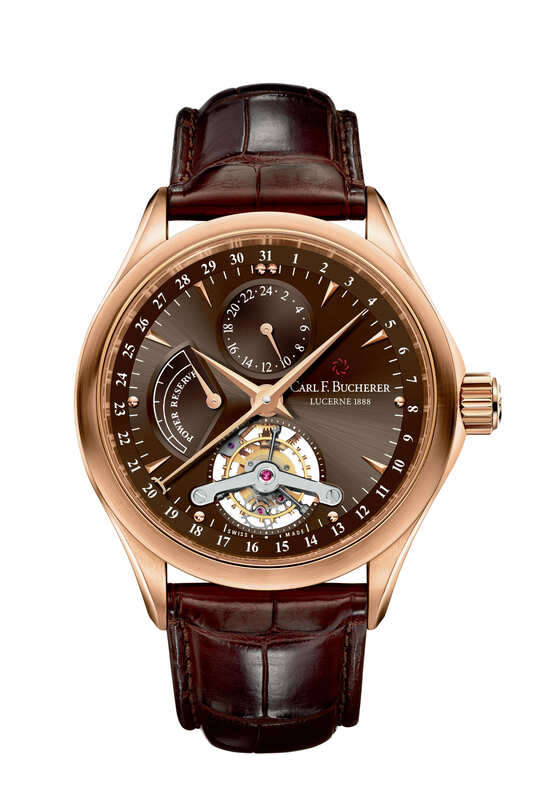 To minimize these influences, the watch’s balance is mounted in a rotating cage: the tourbillon. This arrangement allows the balance and the escapement to rotate around themselves, and they act independently of the position of the timepiece. The solution is as ingenious as it is complex, and makes the very highest demands on the skill of any watchmaker.